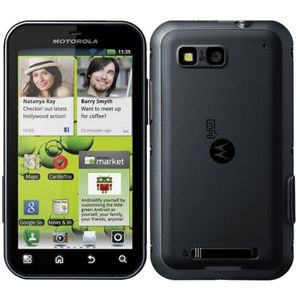 The Motorola Defy was released in October 2010, and was designed to fill a niche area of the smartphone sector. The Defy is an IP67 rated device, meaning it meets specific criteria in it's water and dust resistance. It has a 3.7" FWVGA LCD display and is driven by an industry first 45-nm 800MHz CMOS OMAP 3 processor, along with 512MB RAM. Other features include 2GB storage, with an optional 32GB microSD card, 5MP camera and an in-built FM radio. All this is powered by a 1540 mAh battery.